Summertime is pretty much synonymous with grill season. It’s got a lot to do with the heat: You don’t want to get stuck inside with the oven, and if you’re going to sweat over a hot stove, it might as well be outside. It’s easy to get stuck in the same rut of traditional grill items like hot dogs and burgers, but barbecues don’t have to be the same mess of ketchup, mustard and relish every year. 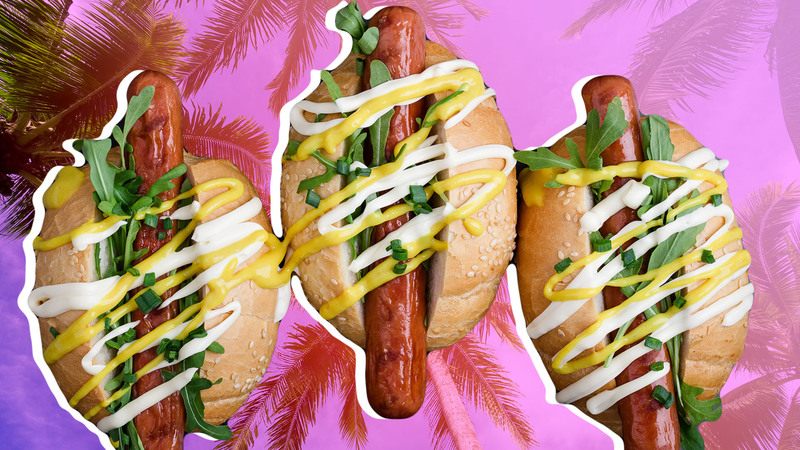 Turns out, you can get pretty darn fancy with hot dogs. Top them with mango salsas, cucumber relishes, even Asian flair. They’ll take a little more prep time, sure, but your guests will be impressed, and you can pat yourself on the back for actually making a dinner you can Instagram. 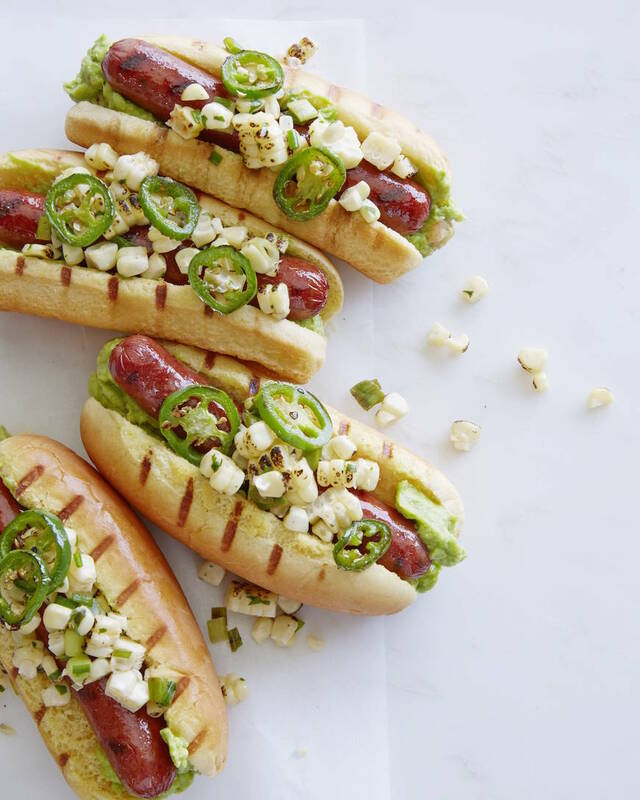 Whether you’re looking for a new spin on ballpark classics or wanting to take hot dogs in a whole new direction, these gourmet recipes have something for everybody. Who says barbecues are an afternoon-only affair? 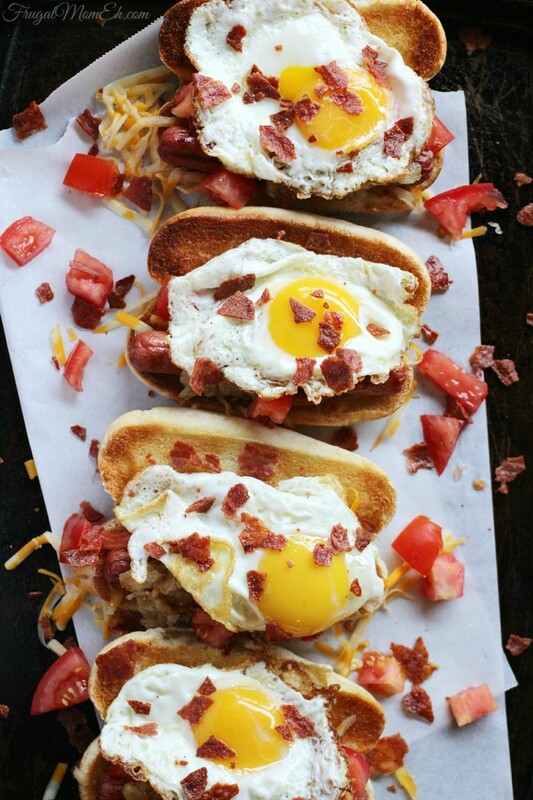 This breakfast hot dog will make you want to start up your grill as soon as the sun rises. 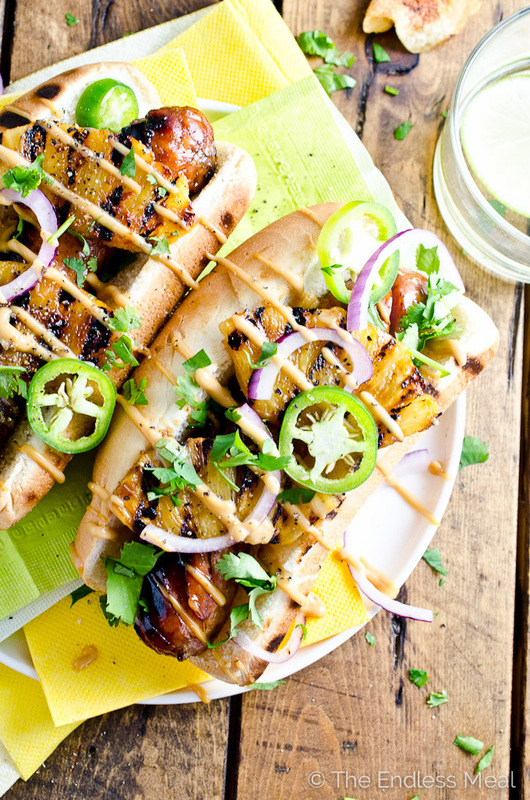 Grilled pineapple and mayo teriyaki will make you dream of islands while you chow down on this Hawaiian-style hot dog. 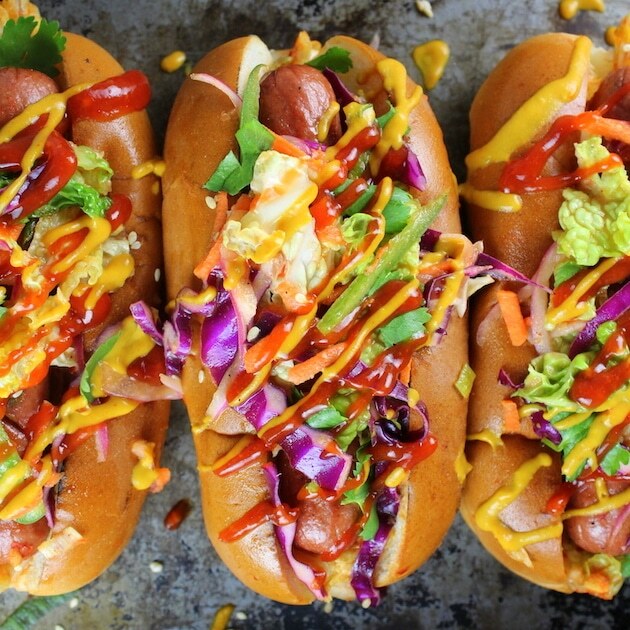 Korean BBQ sauces and kimchi combine to make a seriously tasty Korean slaw, perfect on top of a traditional beef hot dog. 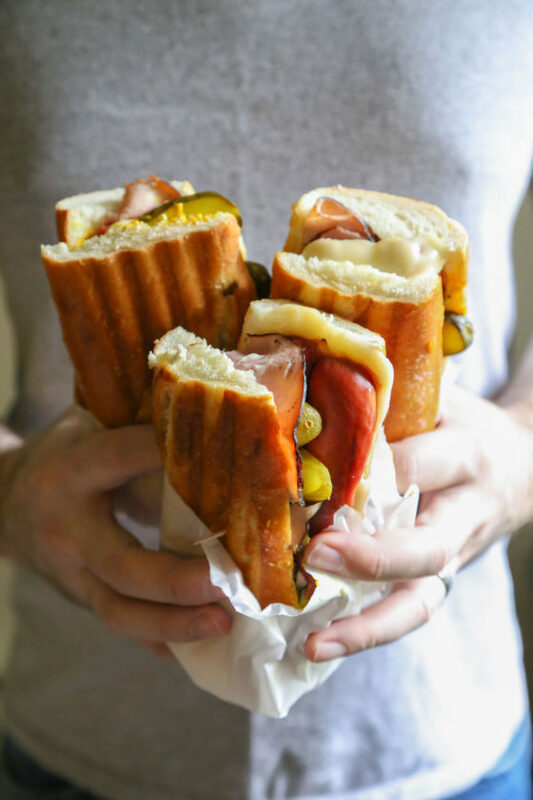 There's something about the salty combination of pork, mustard and pickle that really makes a cuban sing, and there's no reason it won't be just as good in hot dog form. Fresh guacamole, charred jalapeño and corn relish make this Tex-Mex hot dog better than anything you could ever eat at the ballpark. Love a spicy, cheesy kick to your summer meals? 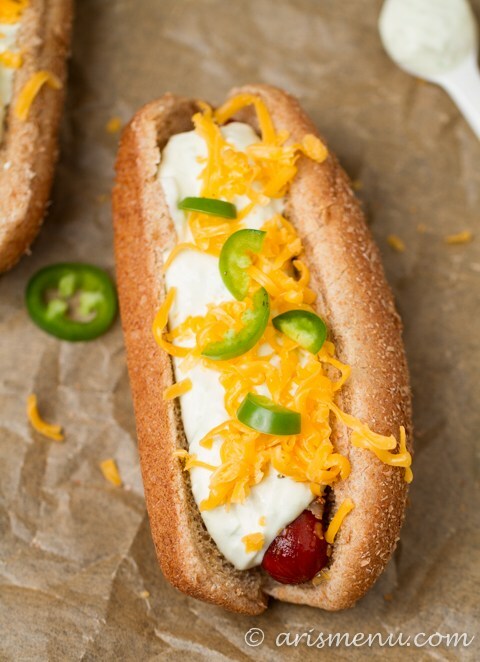 This jalapeño popper hot dog recipe will totally satisfy you. 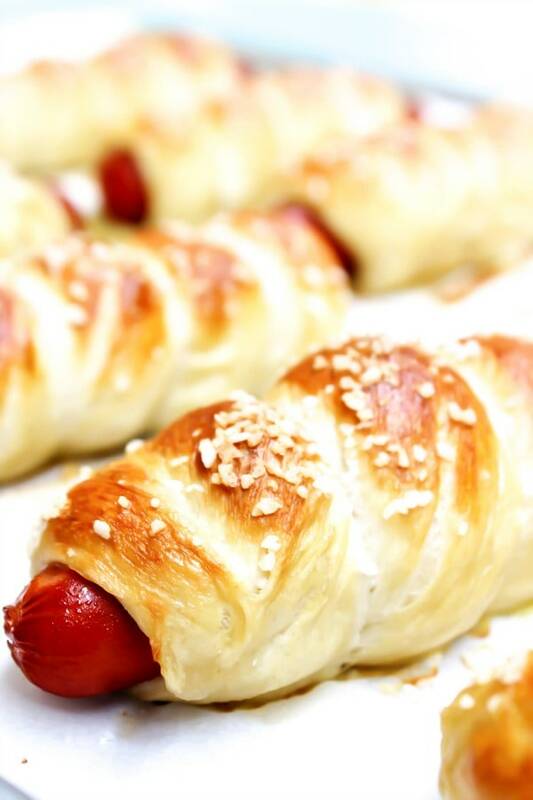 Admittedly, you'll need to cook these inside, but it's easy to impress guests young and old with this simple pretzel hot dog recipe. 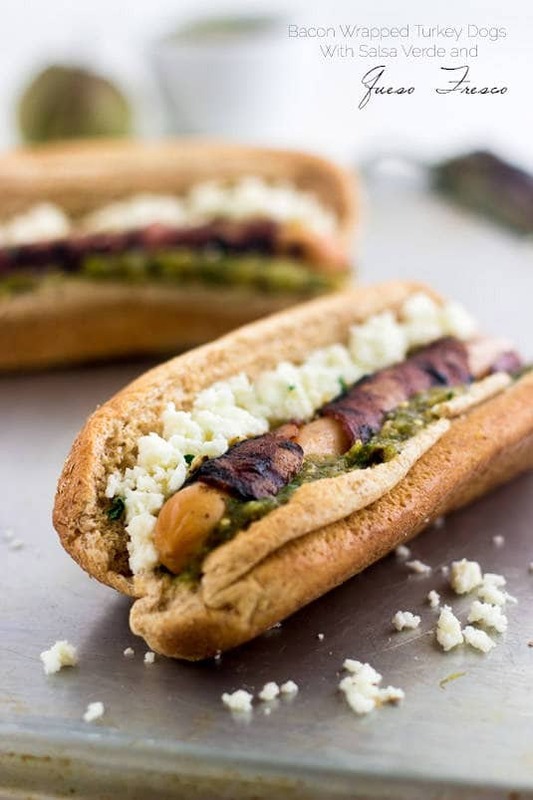 You've probably had a bacon-wrapped hot dog before, but what makes this recipe special is the salsa verde and queso fresco it's paired with. Do you love a banh mi sandwich? 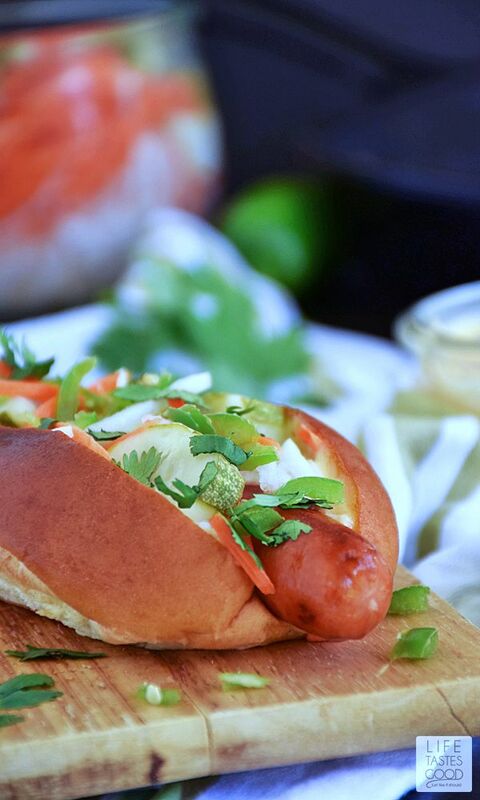 This banh mi hot dog is a great alternative. Sometimes the start of a great hot dog is changing up the meat. 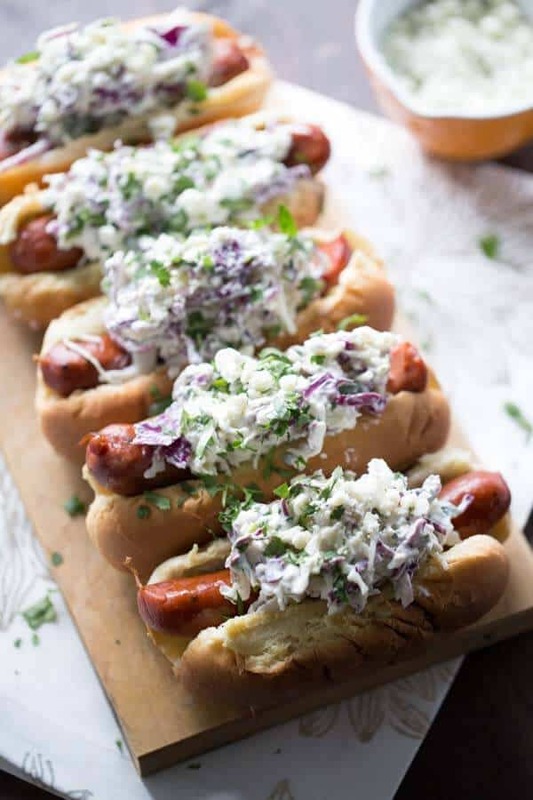 Andouille sausage gives a spicy kick to this recipe, and creamy blue cheese coleslaw cools it down. 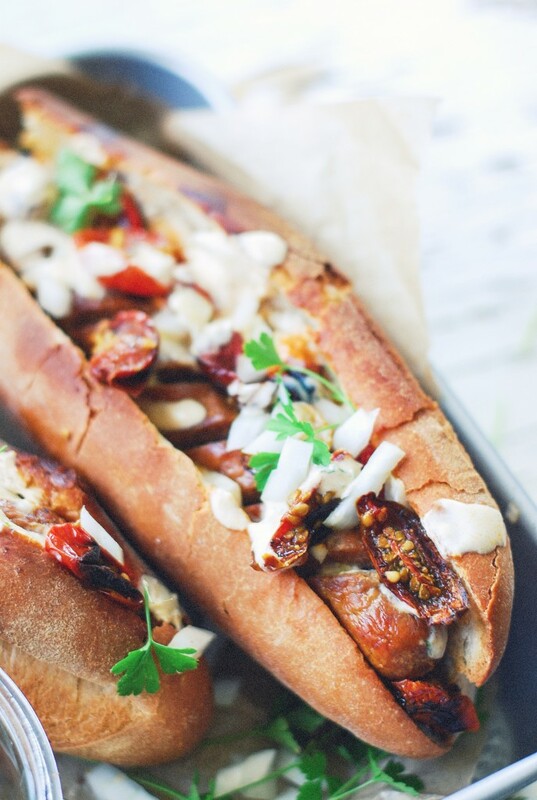 A mix of garlic, spicy oils, lime zest and onions makes this Guadalajara-inspired hot dog recipe. Love Thai food? 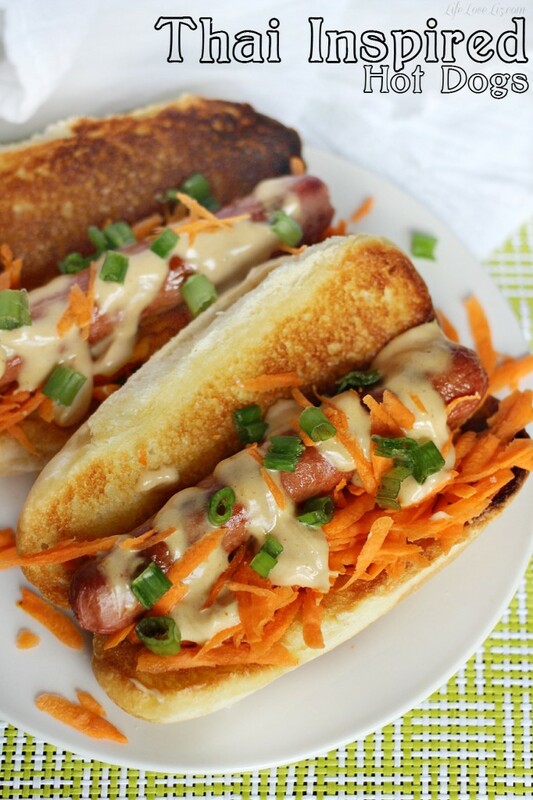 Carrot, spring onion and peanut sauce will give you a new way to enjoy Thai flavors: via hot dog. Mango on a hot dog? Heck yes. And with bacon and some spicy seasonings added, it's got the kick you crave, too.